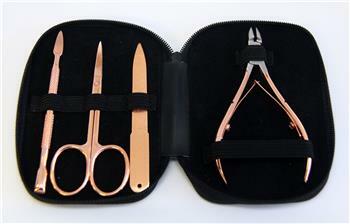 Practical and beautiful the Rose/Gold Travel Set has everything you need to keep your hands looking and feeling great. Great for Travel TSA Approved. Great Gift for Him or Her.